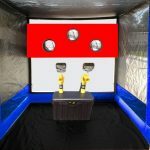 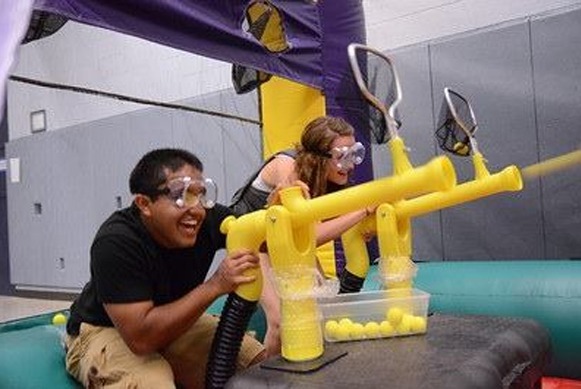 The two air cannon stations have two guns on each box allowing up to four participants at a time as they attempt to hit the target above their opponents head. 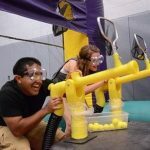 As soon as the very soft foam balls are loaded into the cannon they are released, there is no actual button, just point and shoot . 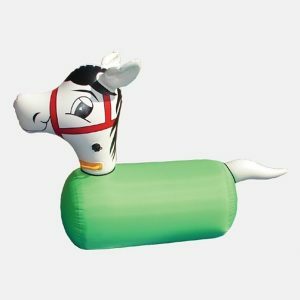 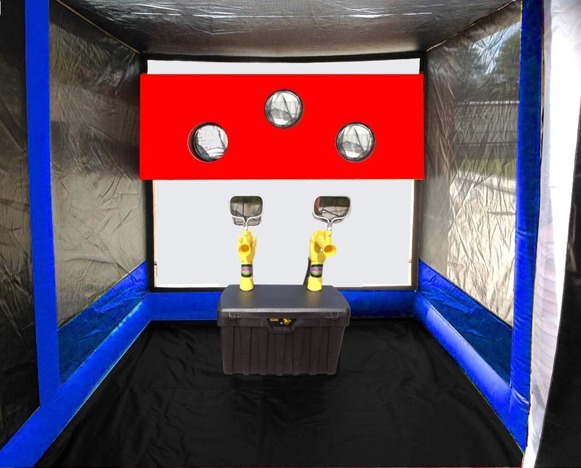 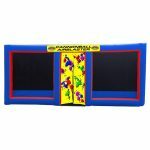 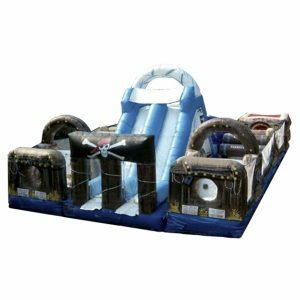 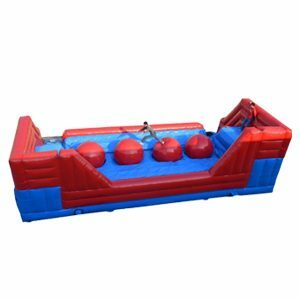 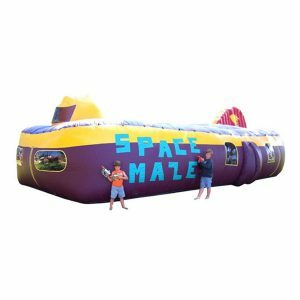 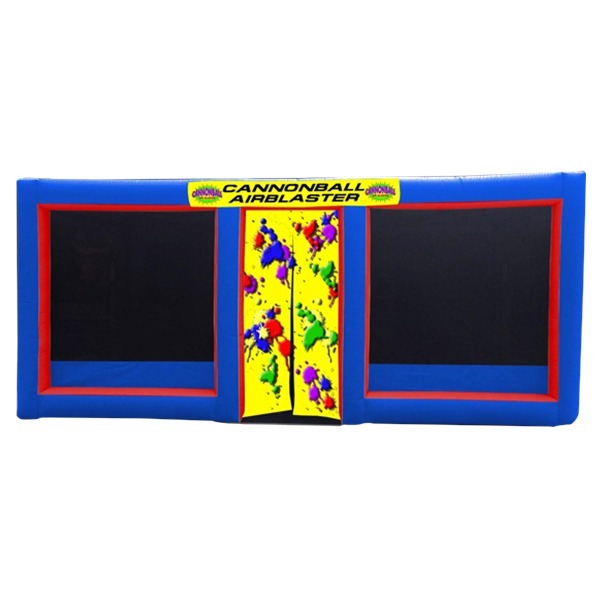 This includes an inflatable battle dome to keep the players in a designated area, and prevent the “ammo” from flying all over the place.